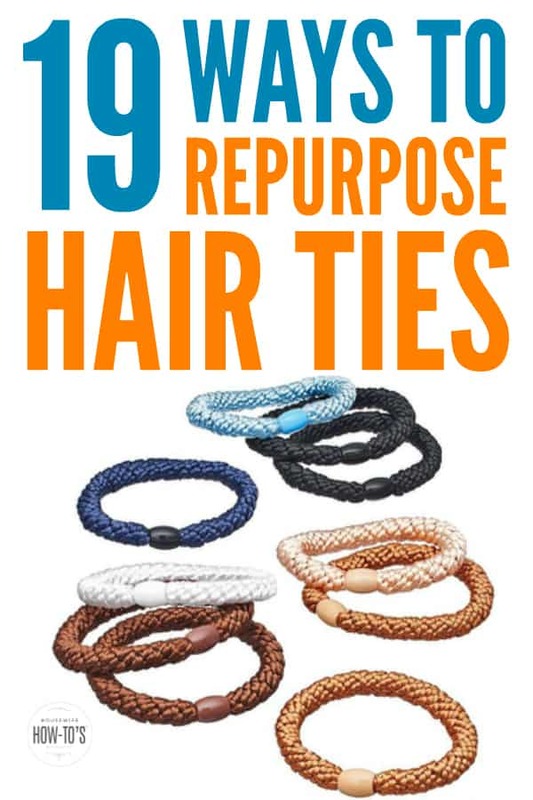 A couple of years ago, after getting my hair cut from shoulder-length to a pixie, I had no idea how to repurpose hair ties, so I threw them all out. I’m not talking a handful of the things, either. Before deciding to cut my hair, I could never find a hair tie when I needed one. Naturally, I kept buying more. The day after I got my hair cut, I discovered hundreds of them all over the house. Eventually, I realized my pixie cut made me look like a bowling pin. Plus, the regular hair appointments it required were more of a commitment than I was willing to make, so I started growing my hair out again. Now I’m back to owning hundreds of hair ties and not being able to find one when I need it, though occasionally I’ll discover a few my cat has hidden under the sofa. So, whether you’re ready to rock your own pixie (and I’m sure you will look marvelous!) 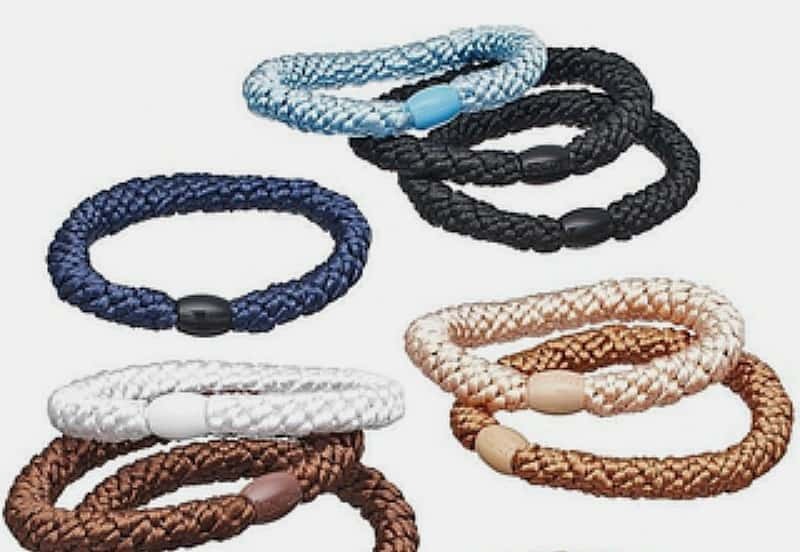 or are looking for ways to use hair elastics that are too stretched out to keep your ponytail secure, here are some ideas on how to repurpose hair ties. 1. Money clip: Why lug a purse around at the Farmer’s Market or in a crowded mall? Instead, roll your money then fasten it with a hair tie. Tuck this into your pocket, and you’ll be less of a target for thieves. This also works great for kids since they always seem to lose folded bills. 2. Food bag tie: Keep bags of chips, marshmallows, nuts and other foods fresh by using a hair elastic in place of a twist tie. 3. Secure candles: Wrap a hair tie around the base of wobbly taper candles before inserting them in the candle holder. Now they’ll stay upright! 4. 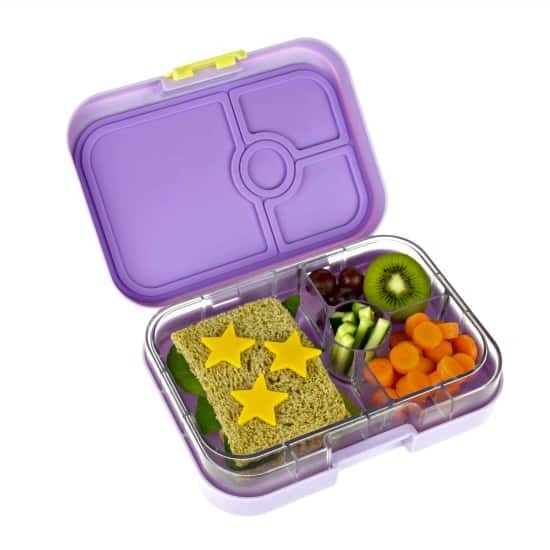 Bento lunch box closure: Keep your child’s bento or lunch box secure by wrapping an old hair tie around it. Unlike the expensive, decorative fasteners you can buy it won’t matter when they forget to bring these home. 5. Make pump soap last longer: Wrap a hair tie on the tube of a liquid soap dispenser, just above the neck of the bottle. Now using the pump still dispenses soap but not the ridiculous amount that usually comes out. 6. Make waistbands looser: Fell off your diet lately, or just feeling a bit bloated? Slip a hair tie through the buttonhole on your pants then loop the ends around the button. Now you’ve got an extra inch of space for your waist. 7. 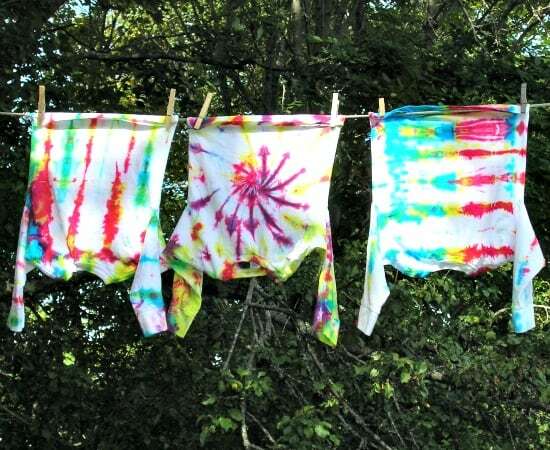 Tie-dye fabrics: At some point during the year, the Spirit Committee at your kids’ school is going to have a “Hippie Day” or “70s Day” or “Tie-Dye Day.” It’s almost a given. Get a head start now by using old hair ties to tie-dye a t-shirt, tank top, or even a dress. 8. Cord tamer: Tidy the tangle of cords beneath your desk or behind your entertainment center by looping each cord’s excess and wrapping that with an old hair tie. 9. Lingerie laundry bag: Toss your lingerie, bras, and other delicate fabrics into pillowcases and secure the tops with old hair elastics. Now you can pop them into the washing machine instead of doing them by hand. 10. Mark drinking glasses: Keep track of who is using which glass by wrapping different colored hair ties around the base of each. 12. Sock saver: Tired of finding single socks on laundry day? Fasten pairs together with a hair tie before laundering and say goodbye to that pile of mismatched ones. 13. 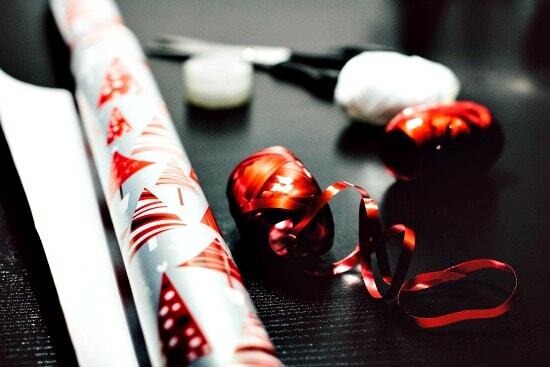 Store gift wrap: Keep rolls of wrapping paper neat and organized by slipping an old hair tie over them. 14. Tame ribbon rolls: What works for the paper works for the ribbons. Secure with hair ties to keep them from unraveling when not in use. 15. Prop up garden plants: Snip a hair tie then use it to fasten garden plants to trellises or stakes gently. Since their elastic is covered, they’re gentle on stems. 16. 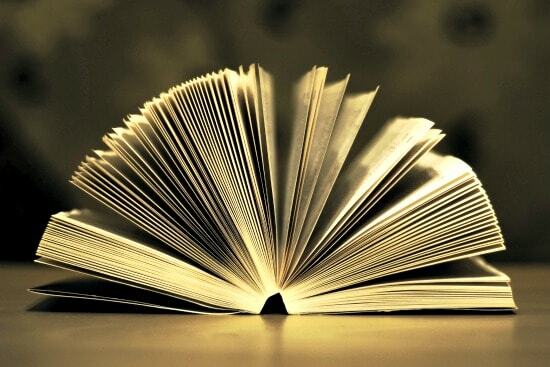 Mark your spot: Instead of dog-earing pages in that book you’re reading, repurpose hair ties by slipping them over the finished or unfinished section of the book, whichever is smaller. 17. Keep measuring tapes tidy: Cloth and plastic measuring tapes never stay neatly rolled on their own. Coil yours, then wrap it with an old hair tie to keep it looking neat. 18. Stop clothes from slipping: Have a blouse or jacket that always slides off the hanger? Wrap a couple of hair ties over the ends of the hanger to provide traction and your clothing will stay put. 19. Store coupons on your car visor: If you always leave your coupons at home (or in your other purse) when you’re heading to the grocery store, this helps! Stash coupons in an envelope then fasten it to your car’s sun visor with an old hair band. Now you’ll always have them handy when you head out. 20. 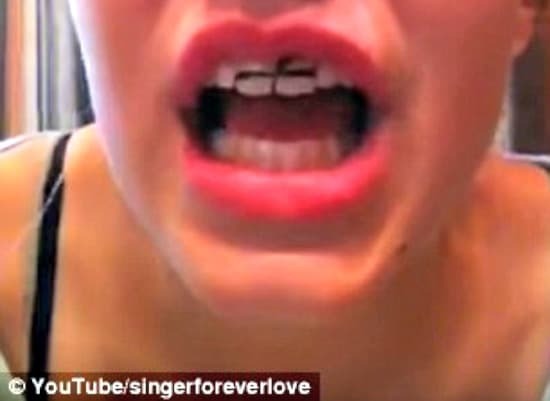 DIY Braces (JUST KIDDING! ): Apparently, this is actually a thing. 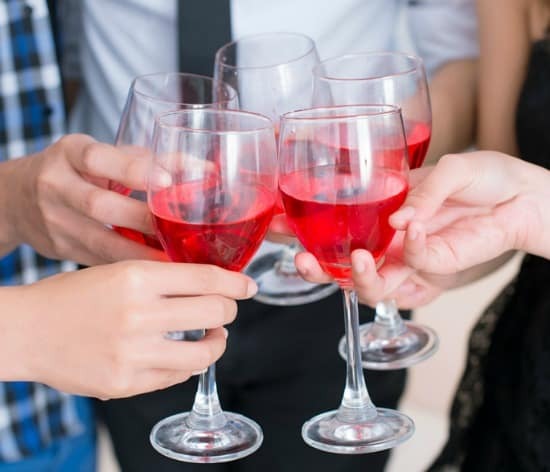 It is also a stupid thing that can lead to the destruction of tooth roots, jaw alignment problems, muscle spasms, and intense, long-term pain. Don’t do it!